WILLEMSTAD - The Council of Ministers of the Kingdom has appointed prof. dr. R.H.J.M. Gradus as the new Chairman of the Boards of financial supervision as per July 1, 2017. Mr. Gradus succeeds prof. dr. A.F.P Bakker, who was Chairman as of December 1, 2011. With the consent of the countries and the public entities of the Kingdom, the Council of Ministers of the Kingdom appointed prof. dr. Raymond Gradus starting July 1, 2017 as Chairman of the three Boards of financial supervision. Mr. Gradus (1962) studied general and business Econometrics at the Tilburg University, where he conferred his doctor’s degree in 1990, and where he worked for a number of years as a lecturer in Economics. Starting 1992 he worked consecutively at the Ministry of Finance, the Ministry of Economic Affairs and the Ministry of Social Affairs and Employment. At the latter he was Director of the Department of Financial and Economic Affairs for five years. From 2008 to 2015 he worked as Director of the Scientific Institute of the CDA. In 2004 he became Professor of Government and Economics of the Public and Non-profit sector at the VU University of Amsterdam. Raymond Gradus supersedes Age Bakker, who aspires to concentrate more on his other work activities, such as his role as state councilor in extraordinary service of the State Council in The Hague. The changing of the guard as per July 1 takes place at a logical time. Mid-year the new cycle for the 2018 budgets is launched for the countries and the public entities, whilst the old budget cycle is completed with the rendering of account in the 2016 financial statements. 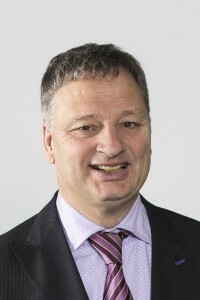 Age Bakker was Chairman of the Cft Curaçao and Sint Maarten and the Cft Bonaire, Sint Eustatius and Saba for over five and a half years and from 2015 of the Board of financial supervision for Aruba as well. He looks back on a fruitful period in which the countries and the public entities realized much progress in making the public finances sound and improving the financial management. Age Bakker: "I am particularly grateful for the good cooperation with governments and executive councils in the Caribbean part of the Kingdom and the trust that was thereby invested in me. In 2016, for the first time since 10-10-'10, all countries and public entities met the respective budget standards. That provides an excellent basis to work now on reinforcing economic growth, which is urgently needed to create solid jobs and expand the purchasing power. A new stimulus added to the cooperation within the Kingdom, based on mutual respect and trust, can contribute significantly to that end. I wish my successor Raymond Gradus, my colleagues in the Boards and the staff of the secretariats in Willemstad, Oranjestad and Philipsburg much success in achieving this. "